Strange thing to review, but I find this to be a nifty little piece of gear. 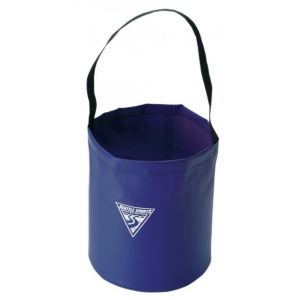 The Seattle Sports Pocket Bucket is just that, a bucket that folds down to about the size of a plum. 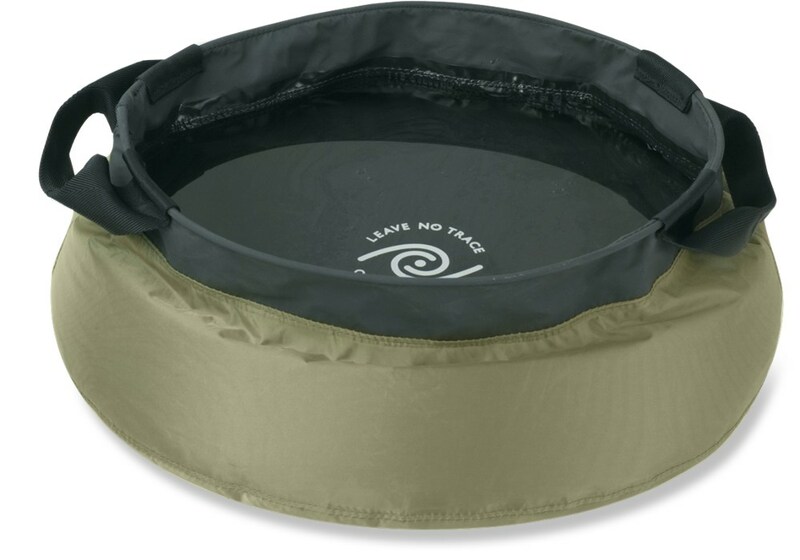 It weighs 3 oz and holds up to 3 gallons of water. 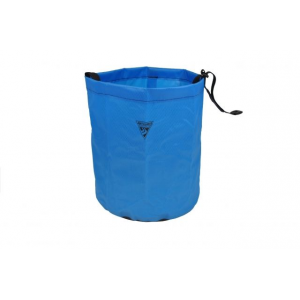 The bucket is made of a urethane coated nylon (200 denier of the sides, 500 on the bottom). You dip it in the water and tote the water where ever you want. 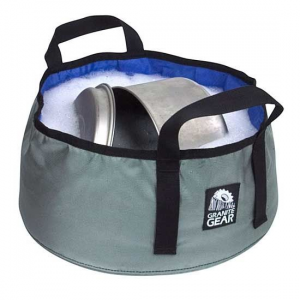 The thing about this product I like so well is that I can scoop up my water at the creek/river/stream/pond/lake and take it back to camp where I can sit comfortably in my trekker chair and filter my water instead of squatting beside a water source and pumping directly from the source. This allows me to camp further from water, and allows me to have place to let the water sit and let silt etc. settle down before pumping saving my filter some work and clogging. 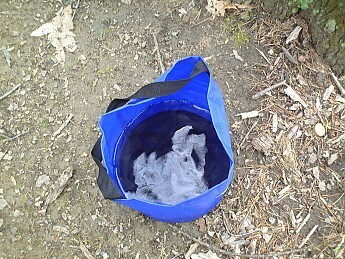 One thing I find about the bucket is that if you are dipping into a stream or pond it is hard to get the bag to fill up unless there is a strong flow to help fill the bag. The light weight material tends to float up and close much of the mouth of bucket if there is not a good deal of flow to help. It works real well if you happen to be able to put it under a cascade of water. Another problem is to use the bag when it is full you need to hang it somewhere. It will sit up unsupported when it is almost full, but you need a very level surface to keep it from tilting and spilling over (when it spills you pretty much lose all the water in it). Also when it is almost full any pressure from the hose of your filter on the top edge tends to make the bucket collapse. I find it works best if you keep it under 2/3 full. It can sit on most decently level surfaces and seems to not have a problem with collapse at that stage of fill. 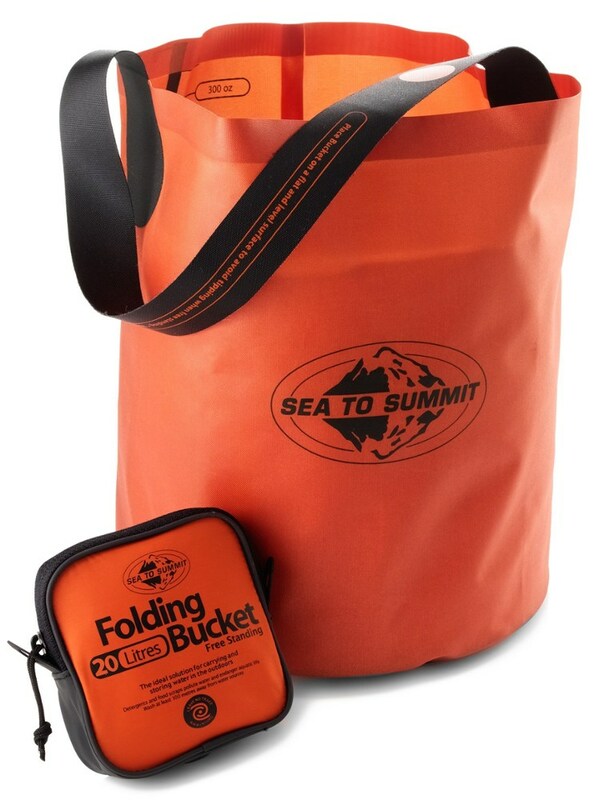 All in all, it is a handy tool to keep the trips for water to a minimum, allows you to filter in comfort, allows particulates in the water to settle and thus stop clogging of the filter. 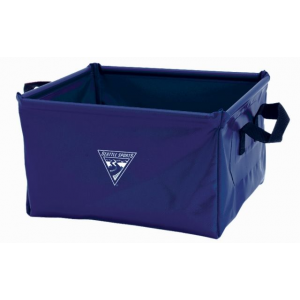 Its draw backs are it can be hard to fill and it tends to spill if filled too much. At 3 oz, I almost never go without it. I love this bucket. 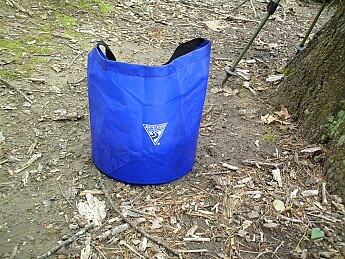 I use it for hauling water to camp and filtering water in comfort. No more squatting and balancing over creeks and lake shores. It's compact and lightweight, I don't even notice I'm carrying it. REI used to sell these, but for some reason they have choosen to discontinue them...typical. 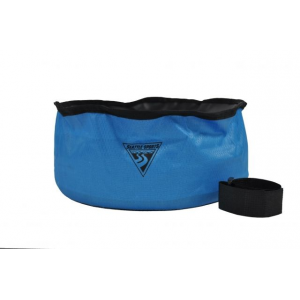 The Seattle Sports Pocket Bucket is not available from the stores we monitor. It was last seen October 2, 2018	at CampSaver.com.